I’ve had a busy few weeks away from my computer! My daughter and I enjoyed a girls only trip to Disney World. My Nikon camera has needed some TLC for a while so I rented a Sony a7iii for the trip which convinced me to make the jump to mirrorless and buy it outright at the end of our vacation. That means I had a good, working camera to take a few quick snaps at an historical event the week we got home. 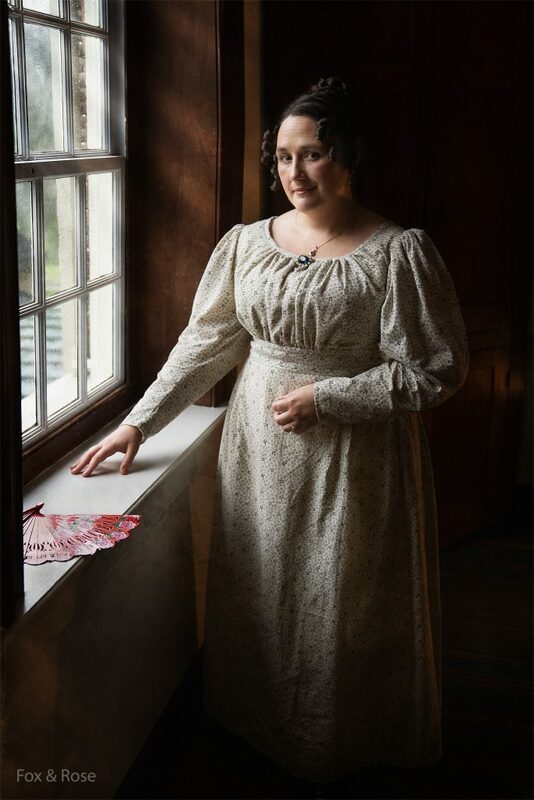 Locust Grove hosted author and actress, Sarah Vowell for a discussion on her book Lafayette and the Somewhat United States along with a dinner to commemorate Lafayette’s 1825 visit to Louisville as part of his national tour. 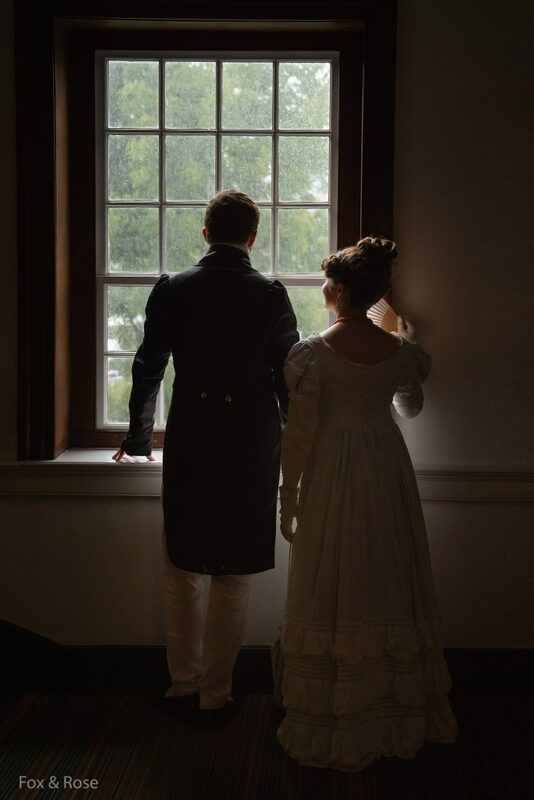 Unfortunately, I was too busy in the historic home to see Sarah Vowell, but I heard much laughter drifting over from her talk, had a lovely view of the outdoor candlelit dinner, and I always love a chance to hang out with some of my favorite costumed interpreters. As I said earlier, it also gave me a chance to try out my new camera in the often tricky light of the often dark historic home. We seem to average at least one event a year where the interpreters have a chance to step out of our normal timeframe of 1816. It’s often a fun opportunity to step into a new role or new clothes from time to time and it can also help everything stay fresh and enjoyable for everyone. It’s also one of the very rare times when the normally strict costuming guidelines might be relaxed a little. Interpreters playing primary roles at these “out of time” events usually make, purchase, or borrow a new outfit that would fall in line with the normal costume standards of the program, only for the new year being portrayed. If the special event only requires a very small number of interpreters or if the year is drastically out of our norm, then the program may revolve around a reduced cast dressed appropriately for the new time period. However, there are times when a larger cast is needed to make the event a success and this is when the guidelines may be a little softer than usual. 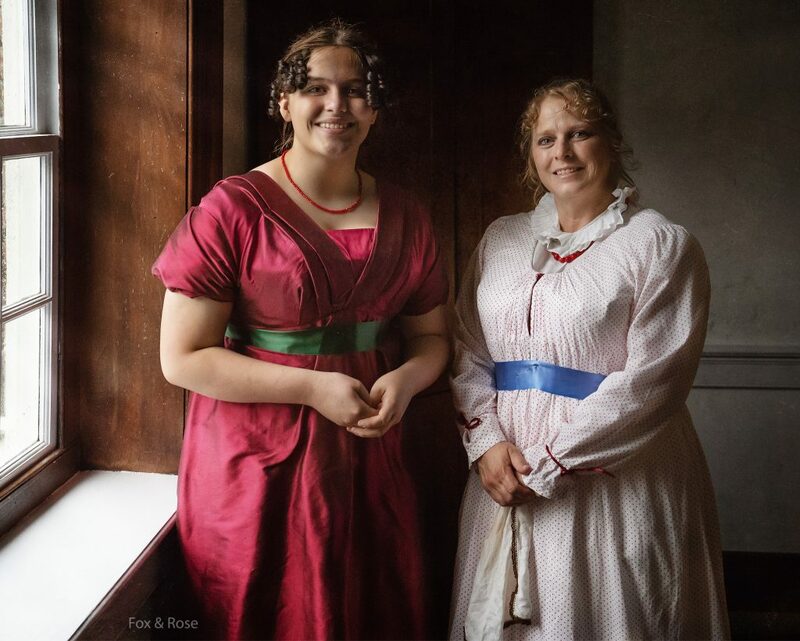 For the most part, the costumed interpreter program at Locust Grove is a volunteer effort. Not only do interpreters volunteer their time for meetings, rehearsals, and events, in most cases, they also provide their own historically accurate clothing. Some sew their own outfits and others pay to have clothes made according the costuming standards of the program. For some, it can be a fun chance to make something new while other cast members may not want to pay for materials or labor to have an outfit made that they may only wear once, which is understandable. In cases where the one time event is somewhat close to 1816 and it also requires a larger cast, we relax the standards in an effort to keep it affordable for our volunteer interpreters. What usually happens is the most important roles are costumed to the new time period as much as possible. 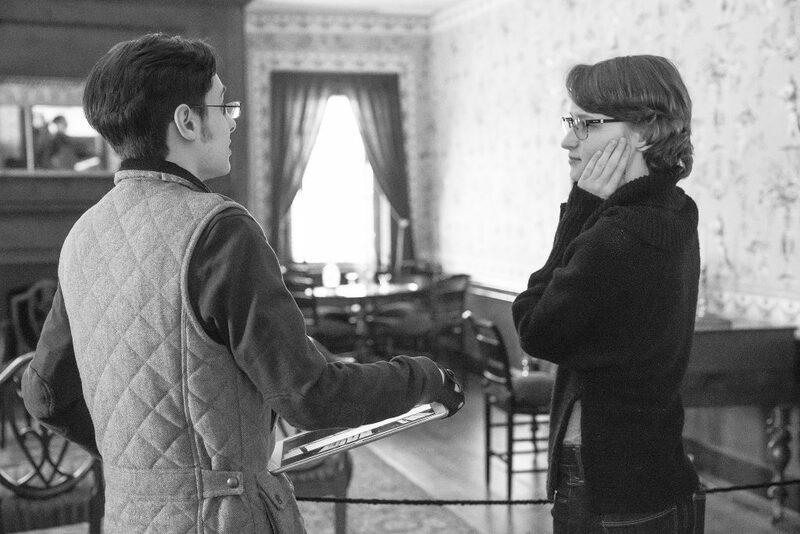 Supporting cast members wear their approved 1816 clothing modified as much as they can be with the understanding that it’s not going to be perfect. So for a woman going from 1816 to 1825, she might add an extra petticoat and lower the sash on her gown. 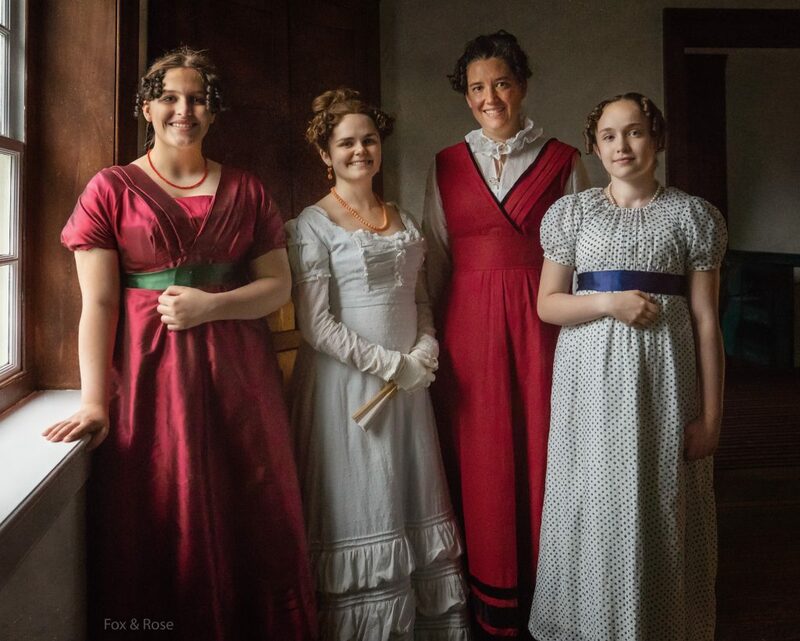 It’s not going to produce an accurate 1825 look, but it is usually enough to blend in while most eyes are on the appropriately dressed members of the cast who may be in the spotlight more than everyone else. Interpreters representing members of the Bullitt family in 1825. Sisters Eloise, Mary Ann, (mother) Diana, and Ann Bullitt. I have a soft spot for the Bullitt ladies so I am always happy when they make an appearance. Photo Credit Heather R. Hiner. In a perfect world, we would have the funding to dress everyone down to historically accurate buttons at every event as our interpreters work quite hard to be as accurate as possible. However, this compromise does work on the rare occasions we need it to. Feel free to follow The Past in Focus on Facebook for updates or my Instagram for my portrait work along with some of the photos from my recent Disney trip and additional images of Hannah and Brandon that I will be sharing over the next few weeks! Wait, You Do This For Free?! 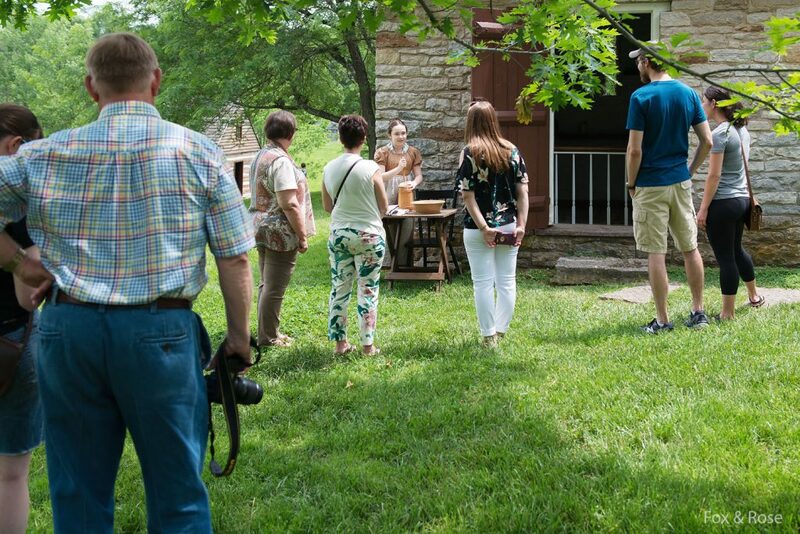 As a docent and a “time ambassador” (more about that in a later post), I go out of my way to let visitors know that the vast majority of the people they interact with when they visit Historic Locust Grove are volunteers. When my family first started volunteering there about eight years ago, there were four full time staff members and a handful of part time staff. As I am writing this, there are now six full time staff members. Add in the part time and seasonal staff and the total number of people working there is still less than 20. This small, but mighty group of people obviously play important roles and we are all thankful for what they do day in and day out make the site what it is. My children helping Locust Grove Program Director, Brian Cushing, plant corn in the garden. One of the great things about volunteering is that there’s something for everyone. A small sampling of the ways people help out at the Grove includes gardening, working with school field trips, baking, cleaning, working in the gift shop, demonstrating historic trades, directing traffic, and working concessions. Those are just a portion of the roles people fill. 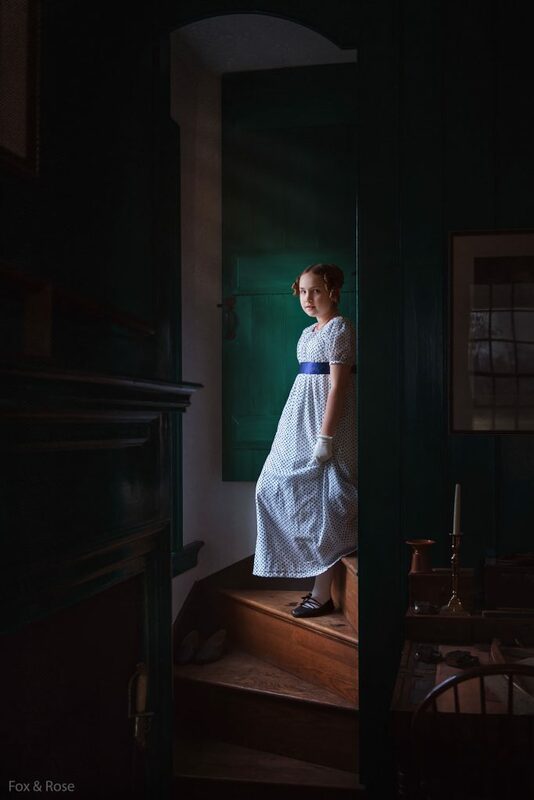 Within my own family, we have sewed, researched, taught historic games, docented, created student programing, been on trash patrol, helped with the admissions gate, taken photos, and participated as costumed interpreters, among other things. And we have some pretty fun adventures I am looking forward to sharing. Since researchers tend to love some concrete facts and numbers, I have a few to share with you. According to Mary Beth Williams, the curator of Collections & Education, 131 volunteers recorded a total of 11,822 volunteer hours in 2017. This is the part where I direct you to the word “recorded.” The truth is that sometimes, people forget to record their hours which means the real number is actually higher. But let’s run with the official number for a minute. It varies by state, but Kentucky values volunteer work at $21.38 an hour. If you do the math, that comes to an in-kind contribution with a value of $252,754. Those hours really add up! My daughter demonstrating the historic trade of butter making. It’s not just the monetary value that’s important, either. Being able to show volunteer and community support can help a site secure grants and other outside funding that help make programing possible. The more volunteers and hours logged, the easier it is to secure funding. And that finding can be critical. I’m going to let you in a little secret about why that’s so important. Most historic sites don’t get government funding. Many run on a very tight budget and depend on donations to keep the doors open. For some sites, a grant could make or break their ability to offer certain kinds of programing to the public. Keeping all of this in mind, I can’t encourage people enough to consider volunteering for an organization that is near and dear to their hearts. Obviously, historic sites are my soft spot, but it can be your local science center, a museum, the zoo, an arts program, or a myriad other worthy causes. It’s a chance to use your unique skills to make an impact on an organization that’s important to you and get as much, if not more, than what you give. Posted on August 26, 2018 August 28, 2018 Categories VolunteeringTags Locust Grove, Louisville, Past in Focus, volunteer, volunteerismLeave a comment on Wait, You Do This For Free? !